Continuing on the road from intertextuality, we come to this concept of the death of the author. This theory is attributed to a 1986 article by Roland Barthes with the same title. This was sort of the shift from structuralism to post-structuralism, which we will get into more fully in the next post. Barthes's famous proclamation was, "Who is speaking anyway?" His basic argument was that giving a text an author was limiting the text's independence. Pulling from the same sort of concepts as intertextuality, he claims that a text "does not consist of a line of words, releasing a single theological meaning...but is a space of many dimensions, in which are wedded and contested various kinds of writing, no one of which is original: the text is a tissue of citations, resulting from the thousand sources of culture." Pulling the author into this equation creates an enormous amount of confusion. The examples he gives consist of the questionable narrations of texts. Do we suspend our knowledge that J.K. Rowling certain is not in the magical world of Harry Potter? Keeping her in mind, however, ruins the aesthetic of a secret wizarding world. And when the narration speaks, is it her voice or Harry's? Is it Rowling, or someone else who experienced these events? WHO IS SPEAKING ANYWAY!?!? Barthes argues that only by eliminating these questions and the source (author) are we really capable of seeing the text for what it is. Michael Foucault, who seems to run through all of these readings, also adds to the conversation with an essay, What is an Author? His claim that the author is outside of the text, someone who precedes it. This adds considerable influence to the text when it need not be there. In Foucault's mind, the author exists for categorical purposes. Prior to actual, living authors writing their own texts, certain works were lumped under one name. This is particularly interesting for Old Norse studies because the sagas are for the most part anonymous and the closes we come to this phenomenon is Snorri Sturluson. While The Edda is the only work that can truly be attributed to the name Snorri Sturluson, Heimskringla has also been attributed. Some author also suggest that Egils saga is also a Snorri work, based solely on writing style. Could this have been a similar move in early literary history? If so, what does that name do to the text? What does it hinder or solve? All in all, this theory has one purpose: to yank whatever meaning or message lies inside of a text from the author and put in the hands of the readers. Only by divorcing the two can the text be fully appreciated. Barthes eloquently claims that the death of the author is the birth of the reader. And yet, as we have seen, eliminating the author loses certain context. This theory takes us a little bit back towards New Criticism and the power of the singular, independent text. 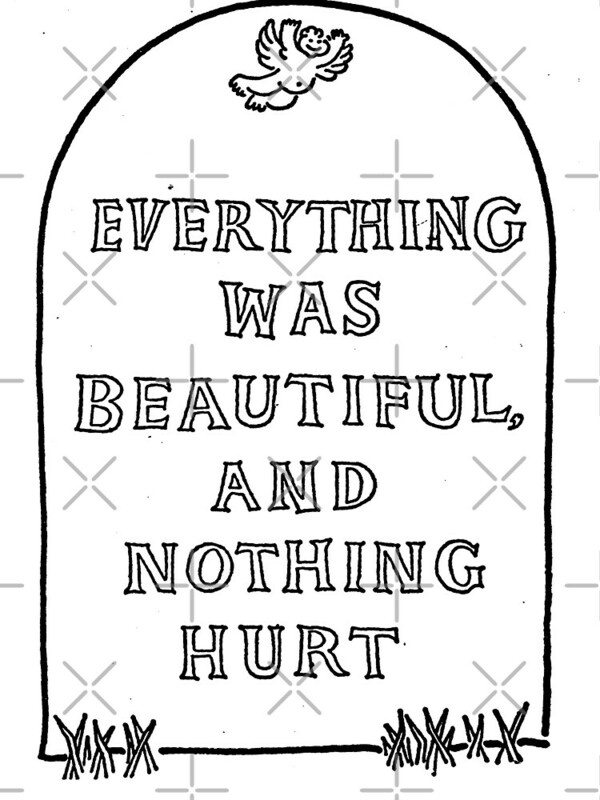 It would be difficult indeed to remove Kurt Vonnegut from Slaughterhouse Five, as it is his most biographical novel. It is still a fine text without him, but in this humble student's opinion, the living author and the additional questions are part of what makes critical analysis interesting.